From my last post, you all can see that I am trying a gluten free/dairy free diet for this week. So far its been going ok, but it is not easy! It is not hard to stay away from the breads, but my biggest weakness is sweets. However, there are many things you can make that are gluten free and I will experiment with some recipes soon. 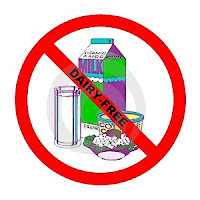 The hardest part of the dairy free is not being able to eat ice cream or yogurt!! I have not noticed any difference in how I feel. The only thing I have noticed is having a little more energy than usual. For the past few days I have been having rolled oats with almond milk and blueberries for breakfast. For lunch I will usually have a salad with fruit and some grilled chicken. For dinner I had fish, brown rice, and kale. Like I said the food is not the problem...the desserts are an issue. More to come for the rest of the week! Recently there has been much hype about removing gluten and dairy from the diet. Many doctors, such as Dr. Oz, are having celebrities, trainers, nutritionists, and other doctors claiming that gluten and dairy are causing inflammation in the body leading to many diseases and disorders.I have long been against any fad diets. However, this "idea" or "concept" does not seem to be a fad. In situations like this we are must pay attention to our body. If for some reason we believe that gluten or dairy do not agree with us we can try eliminating it from the diet. What is the truth to this gluten free/dairy free craze based on a nutritionist perspective? I will tell you. So what is gluten? Gluten is a protein that is found in grains such as wheat, rye, barley, and triticale. 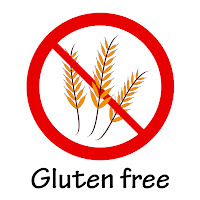 A gluten-free diet is prescribed mainly for celiac disease. In celiac disease the protein gluten causes inflammation in the small intestine. Those who suffer from this condition have no choice, but to go gluten-free. 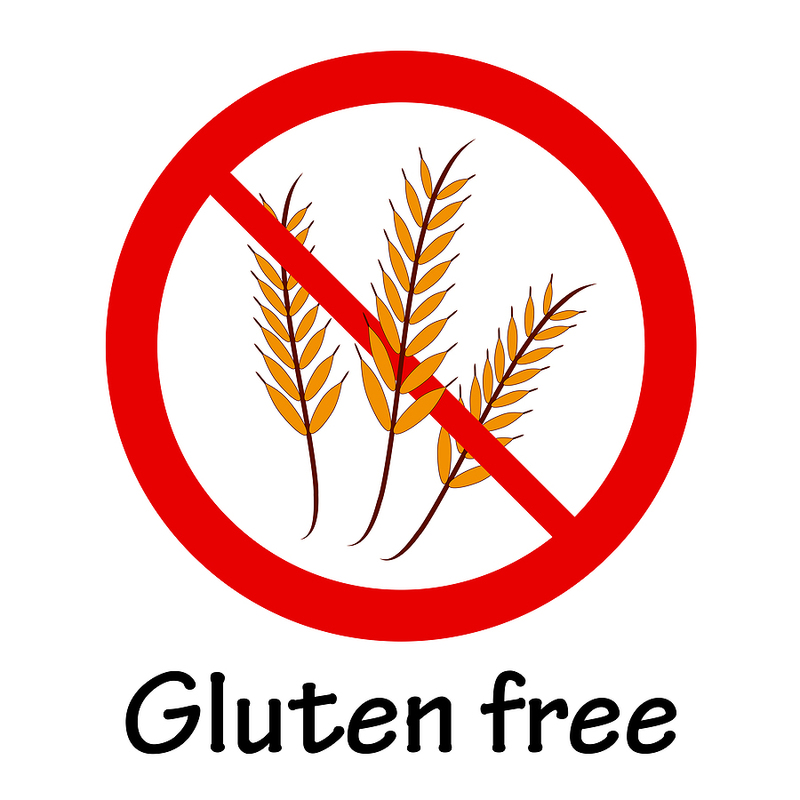 A gluten-free diet is very challenging and can be very tough initially. Many things we eat contain gluten and those who are sensitive must avoid all gluten-containing products. Also, they must avoid cross-contamination so a product made in a factory that processes "wheat" is not allowed on the gluten-free diet. So why are people torturing themselves to gluten-free even though they are not suffering from celiac disease? That is the million dollar question! Many people claim that removing this protein from the diet helps them feel better. They are less bloated, have more energy, less arthritic pains, and in some cases have cured certain autoimmune disorders. The claim dairy causes inflammation does not make much sense to me. How can something with vitamin D and calcium be harmful to you? I personally believe it is not the actual dairy people are having problems with, but the hormones injected to the cow producing the milk we drink. However, those who cannot digest the milk due to lactose intolerance should avoid dairy products. Everyone is different someone who has lactose intolerant may be able to handle cheese, but not milk. Another person may not be able to eat any dairy products at all. I feel that it is important to just pay attention on what happens to your body when you eat certain foods. If they do not agree with you, avoid them. But remember if you are avoiding dairy you might need a calcium or vitamin D supplement. WHY AM I BRINGING UP THIS TOPIC? I am going to challenge myself this week and avoid gluten and dairy foods to see if there is some real truth to this hype. I will keep you all updated with my progress.I personally have been having issues with certain wheat products and I absolutely cannot drink milk. Starting tomorrow I will be going gluten and dairy free for 2 weeks. It is not going to be easy, but I do love a challenge!